surveys contemporary trends such as fundamentalism, feminism, and postmodernism. This fully revised and updated second edition features a new chapter on liberal theology and reflects recent scholarship in the field. 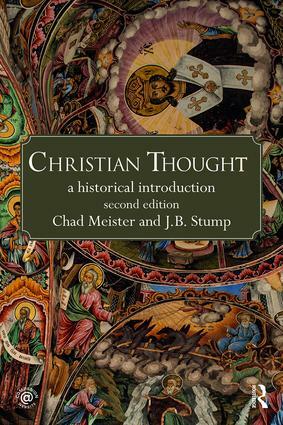 Complete with figures, timelines and maps, this is an ideal resource for anyone wanting to learn more about the development of Christian thought and its influence over the centuries. Further teaching and learning resources are available on the companion website at www.routledge.com/cw/meister. "This ambitious and far-reaching volume surpasses other introductions to Christianity in its combination of depth and scope, and its attentiveness to the contributions of women, of different liberationists, and, indeed, of Jews and Muslims, to Christian thought. Its focus is not the Church or Christian movements or practice, but theology. It brings the story of theology alive by telling it through the people and circumstances in which theological understanding has been demanded, mined, sculpted and honed." Chad Meister is Professor of Religion and Philosophy at Bethel College in Indiana, USA. J.B. Stump is Senior Editor at BioLogos and Visiting Scholar at the University of Notre Dame, USA.